One evening in 2005, Rollmottle and Tony Watson as â€œProject Sandroâ€� produced â€œBlazerâ€� before a night out in Downtown Los Angeles with Maurice Fulton. â€œBlazerâ€� was a vision of the city, the sun, the sand, the smog, the swimsuits and slices of watermelon. When â€œBlazerâ€� was released in 2006, it was a hard sell. It was too weird, too slow, tooâ€¦something? The record sat untouched for almost a year. Eventually, the boys gave one to their kind bud, DJ Harvey. Once Harvey dropped it at FK's Deep Space in NYC, people started to understand. Soon after, a Japanese distributor called and purchased all 300 copies and the record sold out almost immediately. And thus, the beginning of this recordâ€™s mythos began. A few recognized â€œBlazerâ€™sâ€� impact early on â€” a couple years after its initial release, Gerd Jansen licensed it for Sonar Kollektivâ€™s â€œComputer Incarnations For World Peace IIâ€� and Rong licensed it for â€œRong Music Presents Non-Stop Vol. 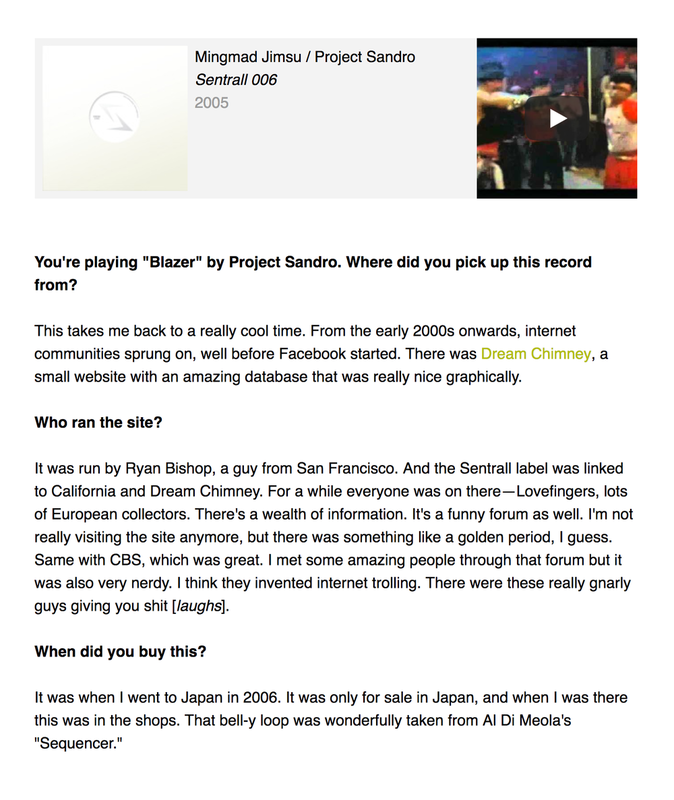 1.â€� It remained largely impossible to find though, and much to Project Sandroâ€™s dismay, it started selling on Discogs for $80. 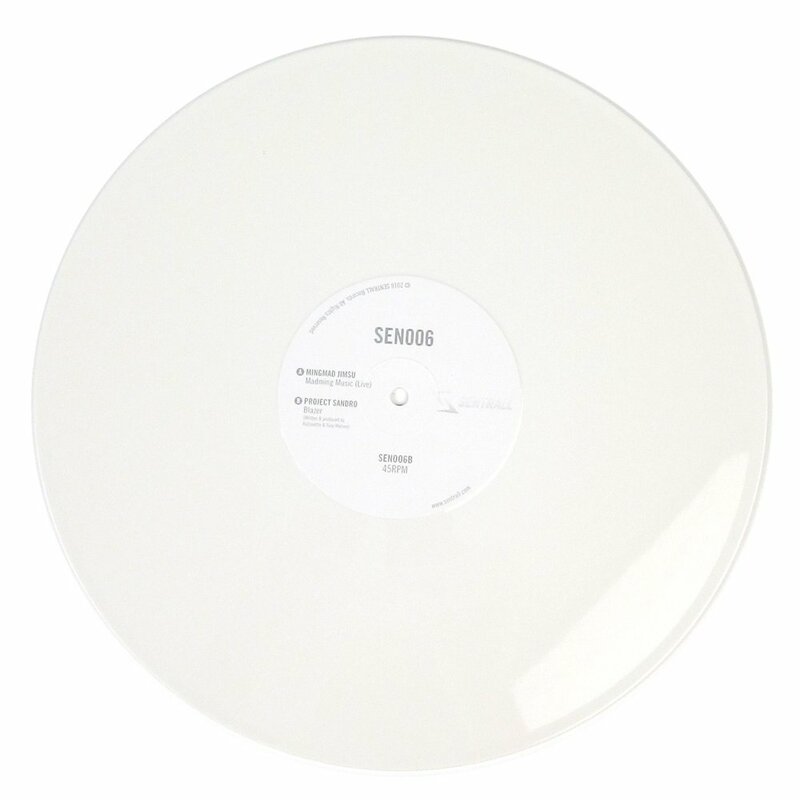 But it was always clear people wanted to hear â€œBlazer.â€� And now for the first time in 10 years, it appears on its home imprint in a special 10 year anniversary limited edition of white vinyl. Project Sandro hopes people are ready for it this time! Available for the first time on vinyl since the original pressing of 300. Featured in Resident Advisor feature "Playing Favourites: Tako Reyenga"